An Aboriginal, an Asian and an Islander walk into a bar… And want to take over the Parliament House. What could go wrong? ‘How To Rule The World‘ is the new play by Nakkiah Lui that hopes to provide a platform for people of colour to speak from. 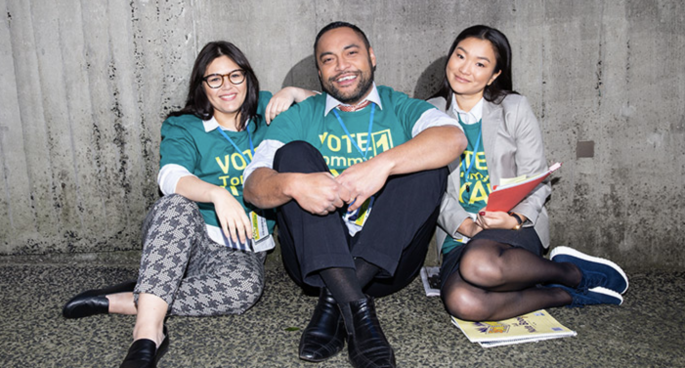 Sophie speaks to Anthony Taufa, who plays a political correspondent in the play, about the twists and turns of the plot and what it means to have three people of colour on stage in this political satire. How To Rule World, STC, Sydney Opera House, 16 February to 30 March, you can grab tickets here.